I'm guessing this reaction video to the finale of Smallville has already made the usual rounds, but in case you haven't seen it yet (I just found it today) take a gander. I've never even watched one episode before, so I obviously don't have any emotional attachment to the show. That said, I get it. Ten years of growing up and becoming his own man and the whole bit, culminating with donning the red and blue pajamas, given to him by his dead father. Really, I understand how/why this is a big climactic moment for the whole series. Plus the John Williams music at the very end. Ten years of fans waiting for Clark to finally become Superman. I get it. I even understand the first 30 seconds or so of the viewer's reaction. Dude's been watching the show for a decade, probably through most of his formative teenager years. Could understandably be an emotional touchstone for him. Hell, even never having watched the show, I got a little choked up when I started hearing bits of the old movie theme through the guy's screaming. But, really? Six solid minutes of "YES! YES! YES! YES! YES! YES! AMERICA! AMERICA! YES! YES! YES! YES!"??? And then he adds the visual tagline: "Smallville. The best ten years of my life!" This show changed my life! It is the only show that was there for me through hardtimes, goodtimes, badtimes and just times! lol! This is my TRIBUTE! DEDICATED TO THE CAST, CREW, WRITERS, DIRECTORS, EXTRAS, FANS, SUPPORTERS, FINANCIAL SUPPORTERS, HATERS, LOVERS, AND CLUELESS ONES OF SMALLVILLE! 10 SEASONS! 2001-2011!!! THE GREATEST SHOW TO EVER ENTER THE STAGE OF HOME ENTERTAINMENT!!! GOD BLESS AMERICA!!! GOD BLESS SMALLVILLE! GOD BLES THE FANS!! ENJOY!!!! Clearly, he's passionate about the show. Like I said, he probably spent much of his teenage years with the show, and I don't doubt that he was able to use it to help process and understand some of the problems he faced growing up. That's what fiction is supposed to do. He identified somehow with the characters on the show, and that identification led him to emotional engagement. Smallville is interestingly different, though, in that from the very start, everybody knew how it would end. Everyone who knew anything about the show knew that the last episode was going to be Clark putting on the suit. I'm pretty sure I recall an early interview where the creators said precisely that. Everyone knows the Superman story AFTER he puts on the suit -- we've got literally decades of movies, plays, radio shows, cartoons and, yes, comics in which Superman flies around with the cape and saves the planet. Superman is usually cited as one of the top five or ten most recognizable characters in the world. 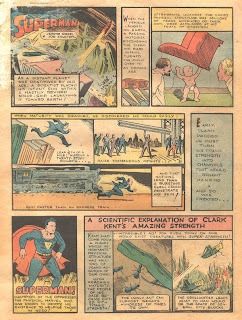 And here's the other interesting bit with Superman: the never-ending battle. That's an embedded part of the mythology. "Fighting a never-ending battle for truth, justice and the American way!" Superman is essentially all-powerful, including the ability to stave off death. There is absolutely no reason to believe we're EVER going to run out of Superman stories. Superman is a constant. He will never age or die, and he will always be back to save the planet in its time of need. He might not look like Tom Welling any more, and somebody might decide that the Williams theme song has been played too often, but he'll be back. Which, in turn, means: no climax. Take a story like Thor (to borrow another contemporary comic-turned-franchise). He's a god. He's immortal. He's been around centuries longer than Superman already and also has no sign of stopping. But there's an ending built in with him. Part of the Norse mythology includes the death of all the great gods and the destruction of the Earth. It's called Ragnarök. There's an ending out there. The audience might never actually see it, but they know it's out there. Superman has no ending. There's, in effect, nothing to look forward to. Even when DC killed him off, the comics continued to be published bearing his name. Superman will never end. There will always be another chapter. So the only climax the Superman mythos can really have is exactly what Smallville presented. That is, the climax to the origin. 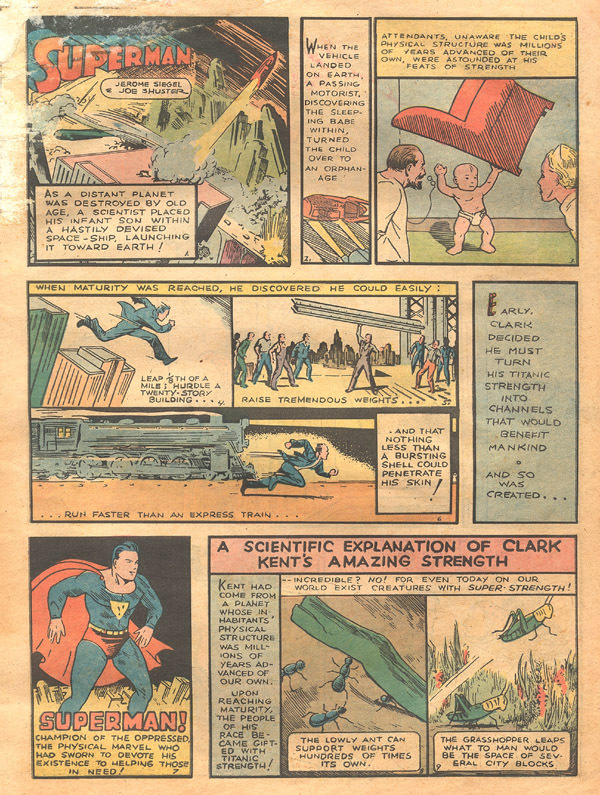 True, it was technically done way back in 1938 but Jerry Siegel and Joe Shuster completed the whole shebang in less than a page, making it more than a little hard to get emotionally engaged. Over a period of years, the trick actually becomes keeping the audience engaged. But for this one guy, at least, the Smallville folks seemed to do a good job there. Of course, now, this guy has nothing to look forward to. If his life was as engrossed by Smallville as his reaction makes it seem -- which, I feel compelled to point out, also makes him seem MUCH less passionate about Christianity than his YouTube page would otherwise imply -- then all he's got to look forward to are re-runs. In fact, with both Superman and Christ, there's no new climax for him. The ending for both characters, in effect, will never happen. Now, that's not to suggest he doesn't have a reason for living. He might well find a new fiction that he enjoys and, if it is indeed new, there could well be a denouement to look forward to. A happily ever after. Honestly, though, I prefer the never-ending battle. Yeah, I appreciate a story that has a good conclusion, but I also want that acknowledgement that life goes on. There are no happily ever afters in real life, and I tend to think it's a bit of a trite cop-out to use them in fiction. The finale of Smallville impressed this one guy, obviously, but the show ended by saying "Don't worry; Superman is always here to save the day!" Artistically, it was done well, especially for being so predictable. But I'd rather get excited about what I don't know is coming. About the journey on my way forwards into... wherever it is that I'm headed.